Police Sunday identified the two men who were shot after being involved in an altercation with another group of men in the Colina Del Sol neighborhood late Saturday. Dionte Floyd, 31, died of his wounds, and Dashe Wallace, 38, survived and was treated at a hospital, San Diego Police Lt. Anthony Dupree said. 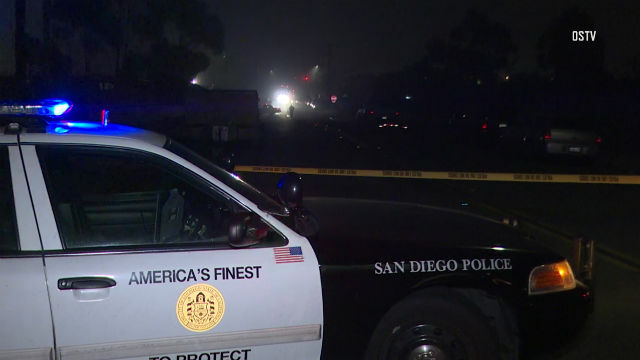 Police responded to the shooting just before 6 p.m. in the 5200 block of El Cajon Boulevard and found the two men with gunshot wounds to their upper bodies, Dupree said. Officers gave the two medical assistance until paramedics arrived. The suspects remained at large. Police asked anyone with information about the shooting to call homicide detectives at (619) 531-2293 or Crime Stoppers at (888) 580-8477.